What does it mean to be an environmentalist after the world has already ended? For Callum Israel, leader of the Ninth Wave oceanic activist group, this is the question that cuts to the core of his identity. In a post-war, post-Crash, post-disaster, post-everything world, nothing is certain and ideologies are meaningless. But the mission remains: search this crumbling world for answers to the cause of the Crash, and keep up the hunt for their missing sister ship, The Massive, lost and adrift in the chaos. 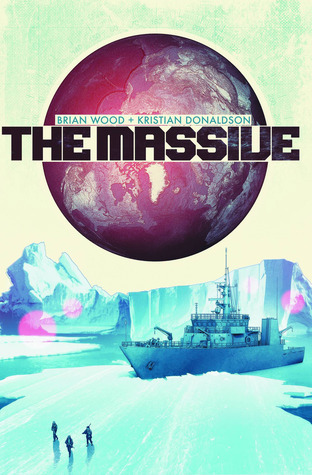 Brian Wood’s new, sprawling, post-apocalyptic epic takes the crew of the Kapital from the flooded remnants of Hong Kong to Unalaska, with stops in Antarctica and Mogadishu, as post-Crash ethics and economics are explored across a broken world. This entry was posted in Uncategorized and tagged books, brian wood, dark horse comics, graphic novels, review, reviews.